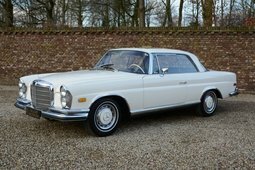 A beautiful Classic European sedan! 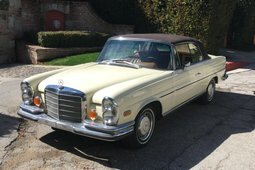 This 1973 Mercedes Benz 280SE 4.5 Sedan still wears its original Blue California license plates and is in amazing original condition. Current on servicing with the bullet proof 4.5 liter V8 backed by an automatic transmission, 4 wheel power disc brakes, power steering, power windows, factory Becker Mexico AM-FM Cassette player, color matched wheel covers, wood and chrome interior accents, very nice original tan MB Tex seating surfaces, Rare Tunis Beige Metallic paint option with nice bright work throughout and a clean and clear California History since new. 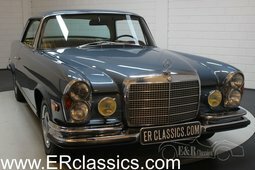 Inexpensive Classic Luxury! California Cars has been in business for over 30 years dealing with European and Domestic Classic Collectable Cars. We here have a passion for machinery for all types of motorsports and are enthusiast as well as being fortunate to do this for a living. More Vehicles From "California Cars"